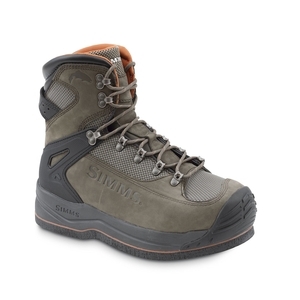 Simms G3 Guide Felt Wading Boots. Simms’ G3 Guides raise the bar with a RiverTread platform bolstered by proprioception, which minimizes rigid underfoot materials in order to enhance feel whether on the trail or in the water. The felt G3 combines all-day wading comfort with the angler-appreciated underwater traction of a 12mm felt outsole, compatible with all Simms’ AlumiBite™ and HardBite™ cleats and studs. Additional features include TPU molded heel clips that lock in fit, while the neoprene lining stacks cushioning where it counts, keeping feet warm and delivering easy on/off performance. Strong and sturdy boot. Higher cut than Im used to but provides very good support and protection to the ankle. 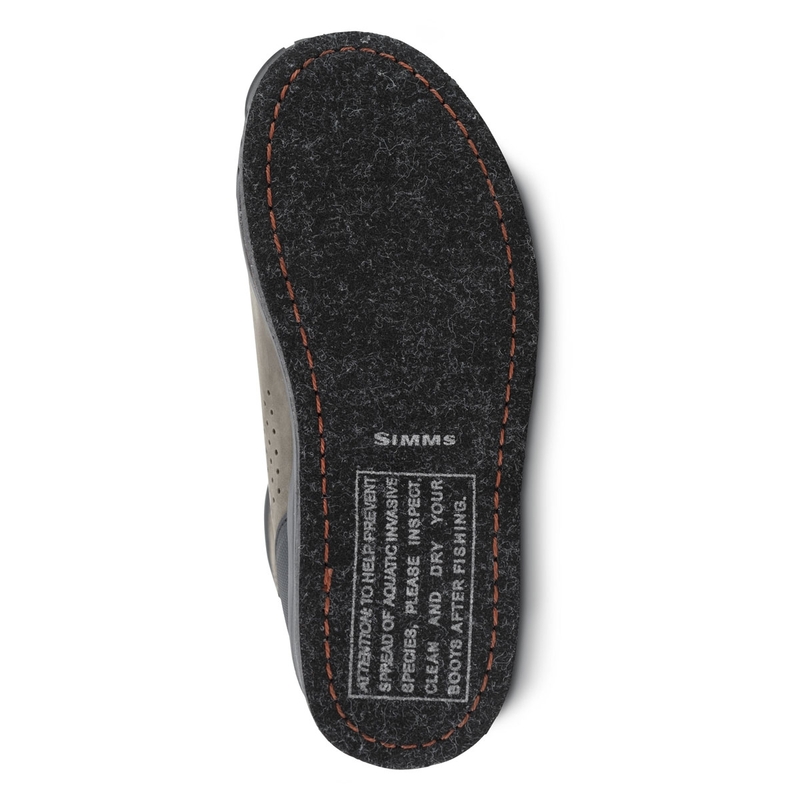 Felt sole gives great grip.Ideal for wading rocky rivers.